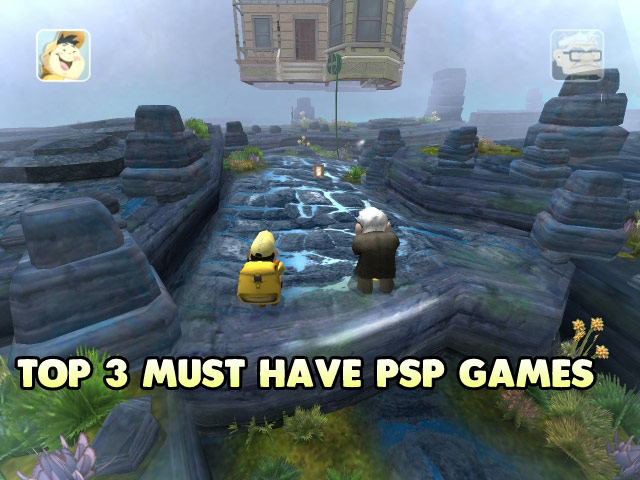 There are lots of psp games popular among gamers and here you will get Top 3 PSP Games you must try and they are very popular is well.If you have a low end device, that’s not a problem because these games will run perfectly in any device. Before we start our list you’ll need to know one thing, all these games file are protected by password and for password you need to watch video that I have uploaded on YouTube for every game individually.You must watch video till end because password is in its middle.Videos with gameplay are available below downloading links. Most importantly all these games are highly compressed and their link are not monetized, you don’t need to wait for 5 seconds because I think we don’t get our file what we get is annoying ads and all these link are of Google Drive. This games is the last WWE game launched for psp before this, there are WWE svr 2009 and WWE svr 2k10 and these two games could not reach to the popularity of WWE SVR 2k11.Want to know why? Because there are lots of mod games made by using this 2k11 iso like WWE 2k14,WWE 2K15,WWE 2k16,WWe 2k17 and last but not least WWE 2k18. Some of mod games are not stabe they have lots of problems like lagging and force stop but if you wish to play WWE 2k18 highly stable and in realistic graphic visit here. So these are the reason behind the popularity of this game by the way this game is also very amazing game in itself, it has every type of matched and tournaments held in WWE with plenty of players while you can also made your custom player and set all his moves in your way. This is mod of Dragon Ball Z Tenkaichi Tag Team.Previously I have uploaded and posted lots of videos and articles regarding mod of DBZ TTT like DBZ Ultimate,DBZ Goku Ultra Instinct etc. This mod is highly stable you’ll not face any problems, runs perfectly on low end devices,graphics quality is amazing and it has all latest arenas of Dragon Ball Super series. In the last episode of Dragon Ball Super jiren has damaged his clothes, just like that you will get same to same jiren with damaged textures inside this mod game.In addition it has Mastered Ultra Instinct form of Goku,Vegeta and Vegeto and monsterous TOPPO G.O.D. HakaiShin form. In absence of mod menu it is difficult to find desired character.If you want Jiren with damaged clothes just select Goku SSJ3 color 3,Goku Mastered Ultra Instinct select Cell form 1 color 1,Vegeta Mastered Ultra Instinct select Goku SSJ3 color 2,Vegeto Mastered Ultra Instinct select Android 17 color 1 and Toppo Hakaishin form select kid Trunks SSJ color 1. This game has the best graphics than the above two games and it has storyline of the film of the same name.It has characters named Carl Fredricksen who is elderly widower and young explorer Russel lives in a house suspended with Helium Balloons and some how both of them get out from this house after the house begans to fly and both of them follows that house and now the game begins. I can’t say much about this game, all I say is watch this gameplay video them you definitely love this game and can’t stop yourself from downloading it.It is full of adventures. This the end of Top 3 PSP Games must have and play in your android, psp and pc.For more stuff like that visit my youtube channel,don’t forget to subscribe and like my fb page.